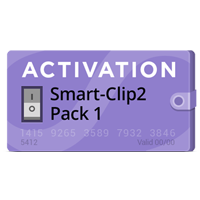 Activation PACK4 for Smart-Clip 2 this pack can be activated only if you have Smart-Clip2 Basic Set and if you have Pack 2 enabled . 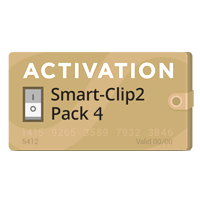 Pack 4 activation for Smart-Clip2 enables service features for the latest Qualcomm Hexagon smartphones. 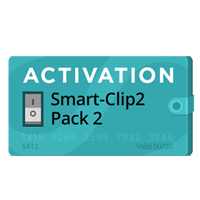 Pack 2 activation for Smart-Clip2 enables servicing for supported Qualcomm-based Acer, Alcatel, ZTE, Huawei phones and smartphones. Pack 3 Activation for Smart-Clip2 enables servicing for the latest Motorola cell phones and smartphones based on Texas Instruments and Qualcomm CPUs. 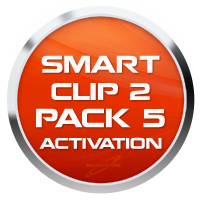 This pack can be activated only if you own Smart-Clip2 Basic Set with Pack 2 enabled. Smart Clip 2 Pack 5 activation activates the feature support for removing FRP from latest Huawei smartphones based on Qualcomm and Hi-Silicon as well as service YODA functiopns on MTK. Every Smart Clip 2 owner can activate Pack 5 and get access to these particular and future features, which will be introduced in this Pack.